Join us on Tuesday the 26th of March from 6:30pm for a 7pm start, until around 9:30pm, for our Annual General Meeting. 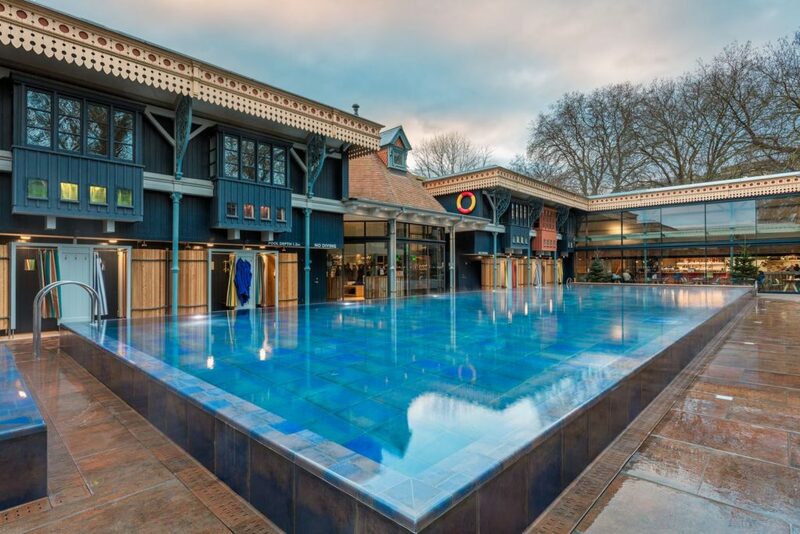 What better place to have the Reading Hydro AGM than right next to Caversham Weir, at the Thames Lido? They’ve kindly donated their meeting room for our evening use. We’ll be quickly going through our AGM business, review of activities and accounts for the 2017 to 2019 period, give you further updates on what’s been happening more recently, and then have an activity evening where you can all contribute. It’s a chance to hear more about key areas of support and skills we may be looking for in the next stages. Member, community share investor, volunteer or just curious to get involved, we’d love to see you there! If possible, please let us know if you’ll be joining so we can keep a track on numbers. You can let us know if you’ll be joining either via our facebook event or dropping us an email. It’s been a busy couple of months for Reading Hydro since our AGM at the end of March. There’s our facebook group where all can share ideas, inspiration and events (whether you’re a member or not). You can also follow and interact on our various social medis platforms, Twitter and Instagram. You can also ping us @rdgHydro or #rdgukHydro and we’ll pick up what you’re sharing (we love anything around the river, on the river, incolving the community, environment and renewable energy). 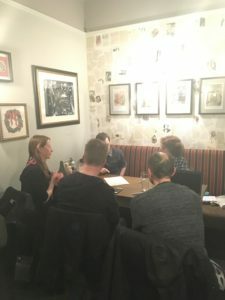 We’ve been holding monthly action evenings although in the last months have interspersed this with being and taking part at some events andworking on our plans. As well as this, members can also opt in to join our slack working group communication, if you want to get active on particular topics. A key one at the moment is further publicty and communication support, digital online, graphic design, social media and community building. No it wasn’t a spelling mistake in the title. 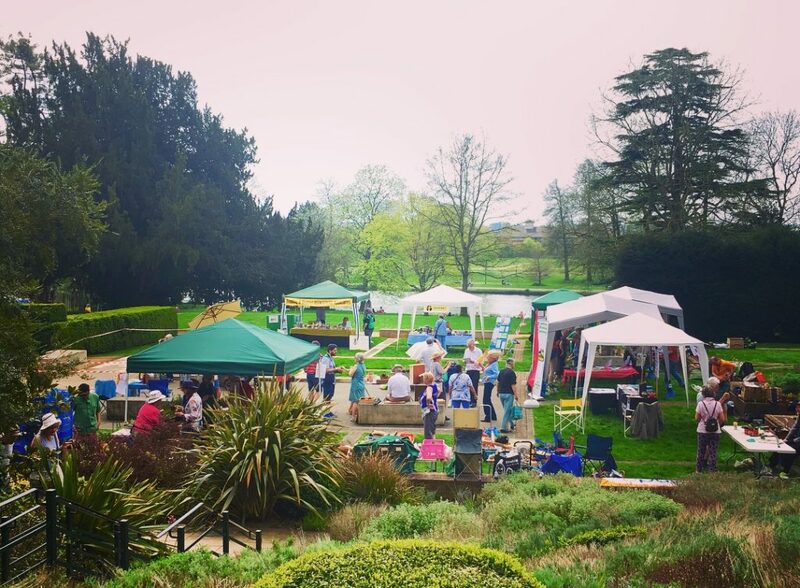 Last month we took part in a wonderful yearly event held in the beautiful Caversham Court grounds. Bean Pole day, put on by Reading’s and Berkshire’s EcoNet conservation volunteers. What is Bean Pole day, I hear you say? Well it’s an opportunity to buy Bean Poles (long thin peices of wood) as well as peas sticks, that you will be able to use to truss your beans and peas to. 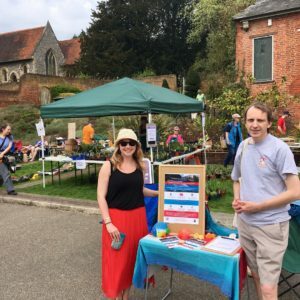 Alongside this there were a whole host of local growing and green, ethical groups inlcuding growers from Tilehurst, Friends of the Earth, Global Justice now, the Reading Beekeepers and Food 4 Familes. We had a great time sharing what we’re up to at Reading Hydro as well as welcoming new member to the Community Benefit Society. A definite event to look out for and attend next year (especially when the sun shines)! 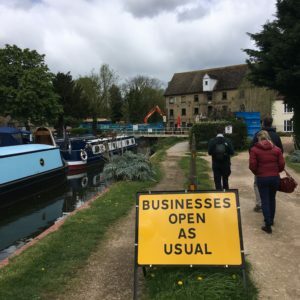 Members of the team and some of our wider board of experts also undertook a trip to the wilds of Cambridgeshire to visit a hydro scheme under development at the moment at Eaton Socon. Here they are actually implementing the same VerdErg Venturi Enhanced Turbine Technology that we are looking at implementing in Reading. Like us, the part of the River Great Ouse that it is being implemented in has a low head of 1.4m. 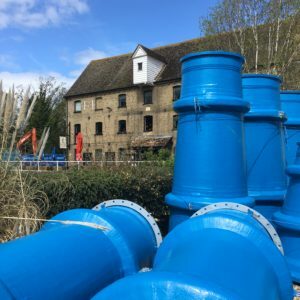 It’s actually being installed right beside The River Mill pub that was the old mill there, so soon the pub will be getting much of it’s electricity from renewable hydro power and in a lovely sort of way, reclaiming it’s original heritage. We can’t wait to see it working later this year. 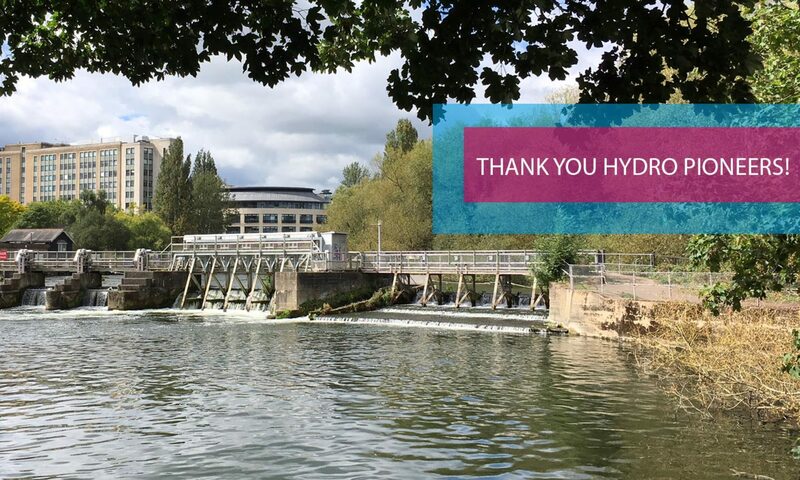 The great thing about Reading Hydro is seeing the different skills and support from our members and team that come forward to help with certain aspects. Over the last number of Action Evenings, we’d been focusing on planning and structuring the different tasks. Ultimately ensuring that all the activities were documented and the flow of getting to building the Hydro were captured. Recently we got together and restructured and detailed our planning and now have our Project Control Centre or PCC, (as all good engineering projects should be filled with acronyms), up and running. Particular thanks to all who have been involved with this. By now you’ve no doubt been unundated by countless emails from organisations, asking you to reconfirm you’d still like to hear from them, alongside our own. 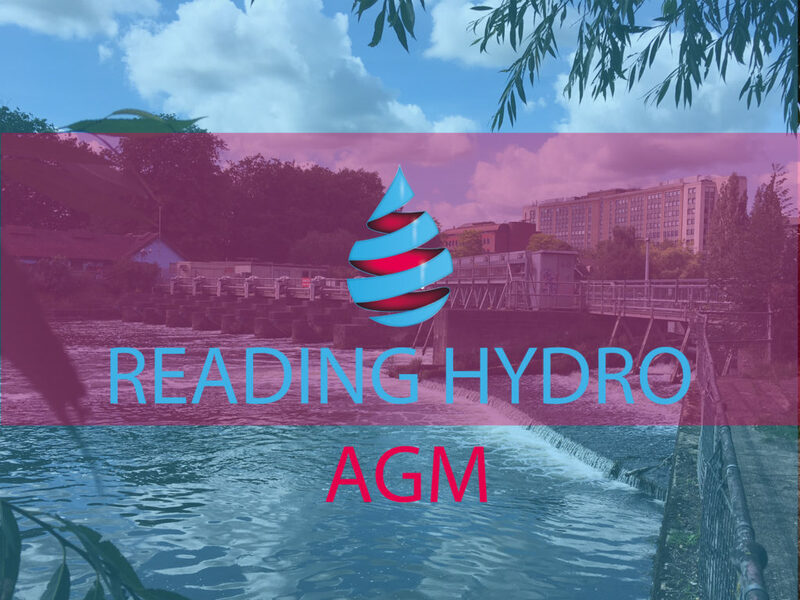 For those of you who are members, as part of your membership is our communication to you on Reading Hydro and key events such as our AGM, so this additional email is primariliy related to our wider supporters who may not be members. Howevere, it’s quick and easy though to review and update your email details (or even sign up to our newsletter if not already) here. We look forward to collaborating and sharing more with our growing community. WE DID IT HYDRO PIONEERS!